The seed of Catholic education began in 1841 in the Bradshaw home of Miss Stephanie Raphel. By 1851, St. Stephen parish was officially recognized as a place of worship. Needing a larger facility for the growing community, the parishioners purchased a two-story frame building. This became the church and school, with all grades occupying the lower floor. 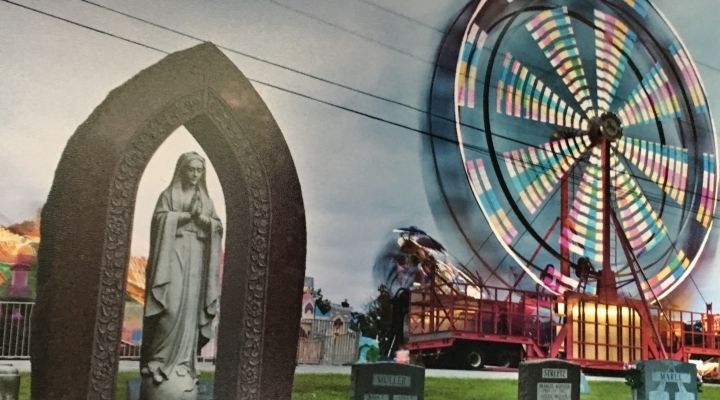 For the next 25 years, the thriving community grew steadily and became a closely knit, friendly community with strong ties to the parish and to Catholic education. The parish's continued growth dictated the need for a larger church and school. Parishioners toiled for over a year hauling large rocks from the countryside to the current site on Bradshaw Road. This work, begun so humbly with the very essence of what God had created in this beautiful countryside, was to become part of the charisma of St. Stephen School. In 1931, the church was completed and the two-story frame building was moved to the top of the hill and became St. Stephen Elementary and High School. Later, Rev. Vincent Fitzgerald, pastor, renovated the existing building and engaged the Sisters of St. Francis of Philadelphia to teach. In September 1941, one hundred seventy students crossed the threshold for instruction. In 1953, a new building was erected. This became the elementary school and the frame building became the high school. 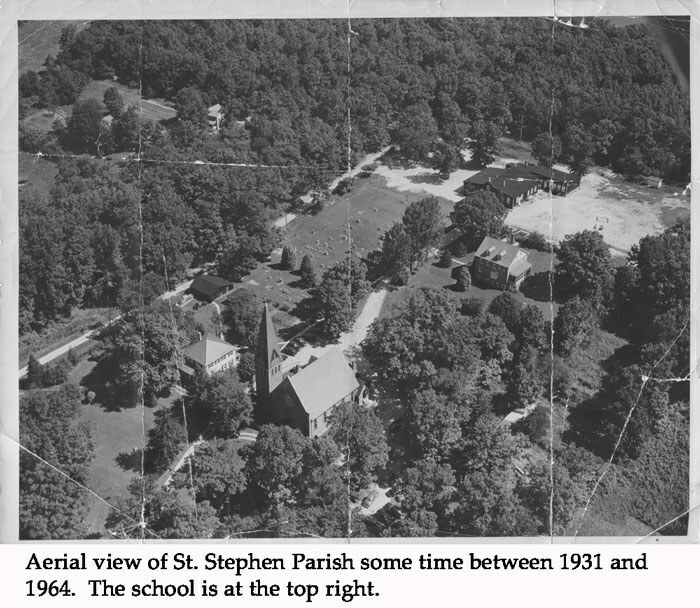 In 1963, St. Stephen School had an enrollment of one thousand students. St. Stephen High closed in 1964 with the opening of the John Carroll Regional Catholic High School. The two-story frame building was later demolished. In 2014 the St. Stephen Pre-K building was opened to serve our youngest students. Approximately 60 Pre-K 3 and Pre-K 4 students attend school in the new building throughout the week. 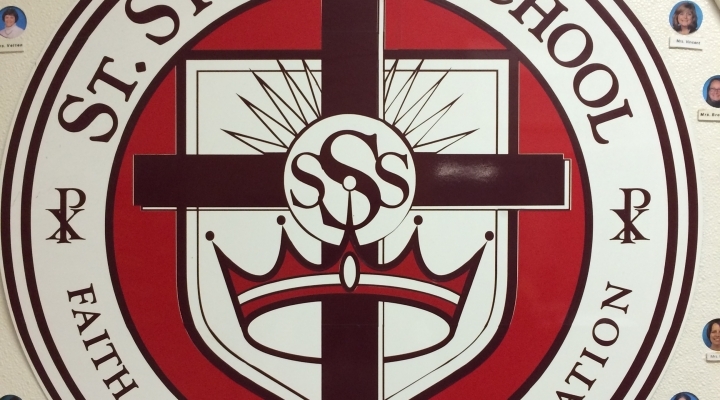 Presently, St. Stephen School educates approximately 320 students in Pre-K3 through 8th grade. Though the students, parents, and staff have changed through the years, the school has remained steadfast in its desire to educate the total child in an environment of Christian values, principles, and standards. At the turn of the century, Mrs. Patrick requested that a school seal be designed for us. This remains a hallmark of our traditions and can be found throughout campus. The seal is to be used only for official documents and occasions. It must not be used as a casual logo or identity, a design element in recruitment materials or a decorative element. Click here to read about our newly created school logo.